In 2012, Art Rapids! 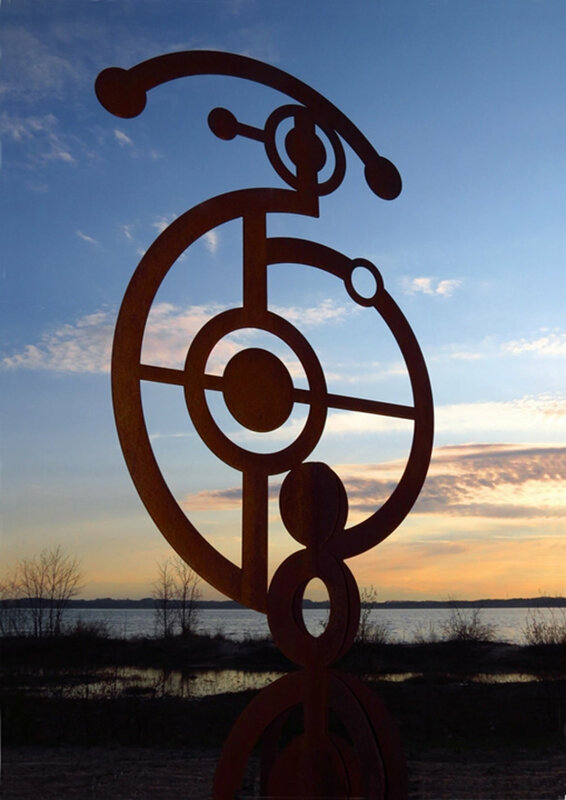 began working with Antrim County to develop an outdoor sculpture park in the county-owned, waterfront Elk Rapids Day Park. This “Walk of Art” offers selected artists a place to exhibit their work for sale, helps attract visitors, and provides art-education opportunities to youth and the community at large. Currently, the Walk of Art features 30 sculptures. In its second year, Experience Art Rapids will welcome thousands of visitors to view over 300 juried works of art on display throughout the village. Learn More About Art Rapids! Art Rapids!, established in 2006, is a non-profit organization governed by a volunteer board of arts-minded citizens. It is our mission to enhance the arts and art education in the Elk Rapids area. Art Rapids! has two primary sources of income: donations from art-minded citizens, and art events in the Elk Rapids area. Since its inception in 2006, Art Rapids! has given back over $100,000 in the form of grants, scholarships, artist awards, and the Walk of Art Sculpture Gallery. Please join Art Rapids and the Younce Guitar Duo on July 26, 2018 at 7pm in the Walk of Art for our annual Free Concert in the Park. In cooperation with Antrim County, Art Rapids! 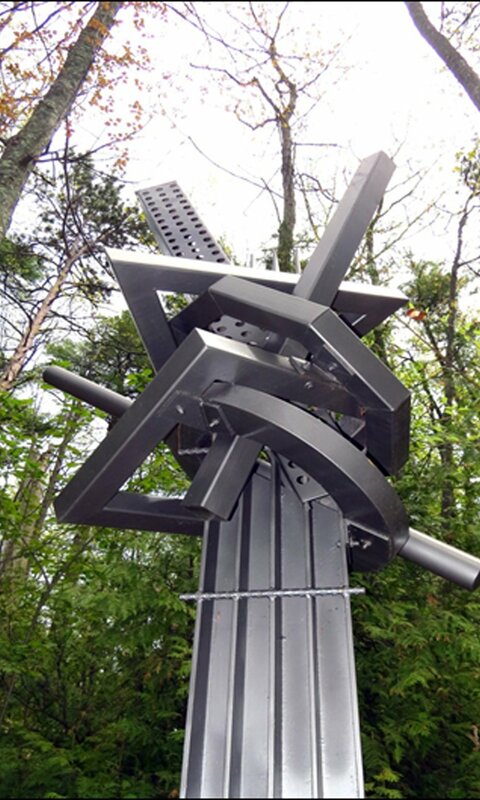 has created a “Walk of Art” outdoor sculpture gallery in the county’s Elk Rapids Day Park on South Bay Shore Drive. In addition to the sculptures, the park is also host to classes and workshops, concerts, and various other activities. The concept is an extension of the organization’s mission to enhance and promote the arts in the Elk Rapids area. The Day Park comprises about 15 acres of forest, dune and a quarter mile of beach frontage along East Grand Traverse Bay on Lake Michigan. It has public rest rooms, a picnic pavilion with handicap access from a 90-car parking lot, numerous foot trails and picnic sites with charcoal grills and tables. 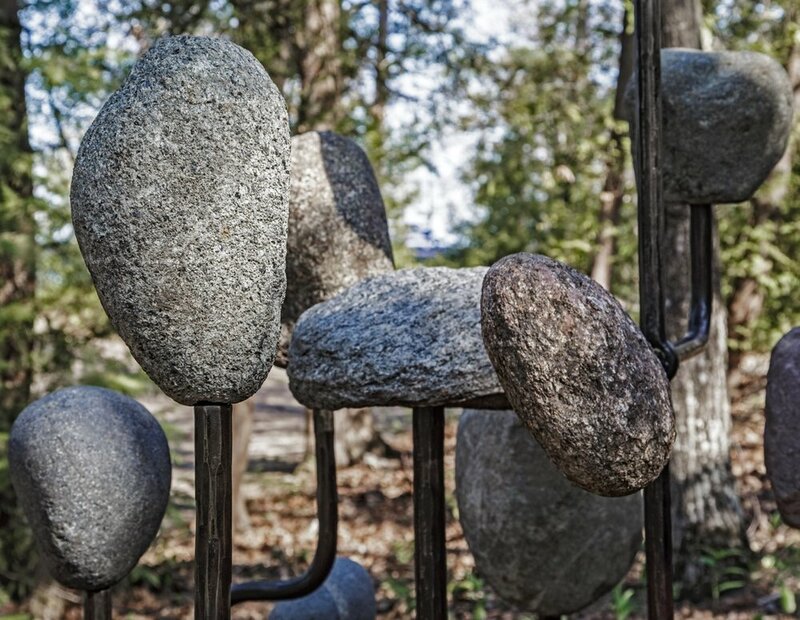 Enhancing the Day Park with schulptures has provided another way to enjoy art and nature, made more people aware of this lovely park, and attracted more visitors to the community. Sculptures selected by a jury will be placed on display for one to three years. A three-year maximum is intended to keep the exhibits new and interesting. Most of the sculptures are available for purchase. The sculpture gallery opened in May of 2013 with six selected sculptures, and has expanded each year, featuring 30 pieces in 2018. The entrance to the park is marked by a commissioned sign created by Art Brown of Torch Tip Ironworks. In 2013, Art Rapids! received the prestigious “Keep Michigan Beautiful” award for the Walk of Art project.The “Walk of Art” is funded by private gifts, donations and MCACA grants. With the help of art-enthusiasts and community members like you, Art Rapids! can continue to support the art education of young people and deliver quality arts programming to the entire community. Your gifts in the form of an annual donation are greatly appreciated and welcomed. Please join us in support of the arts in Elk Rapids by becoming a donor to Art Rapids! today. Your tax-deductible donation will strengthen scholarship and school-assistance programs and benefit community arts programs. Your gift to Art Rapids! will be multiplied many times over in the joy and vitality that it delivers to all.